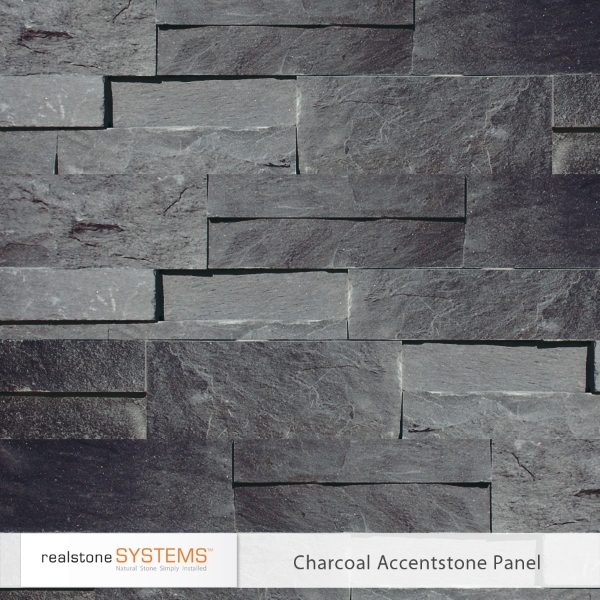 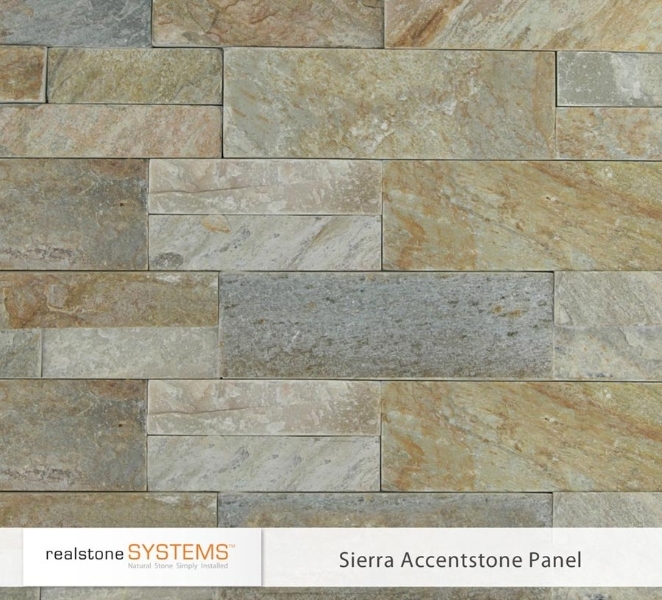 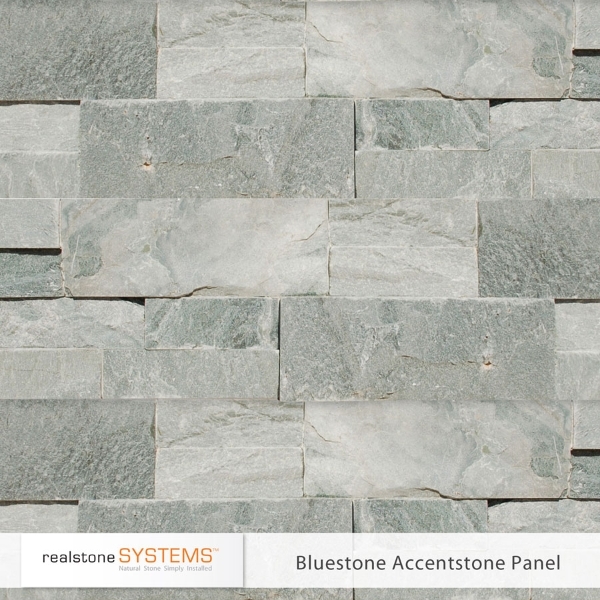 Accentstone Panels are thinner than our Ledgestone and Shadowstone veneers, and offer a smooth finish. 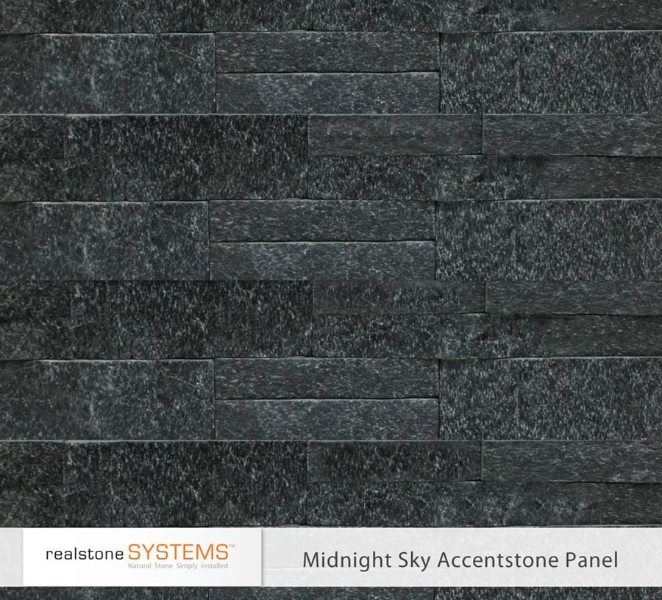 Although individual stones vary from larger rectangles to slim pieces, each panel has the exact same composition with a very uniform look. 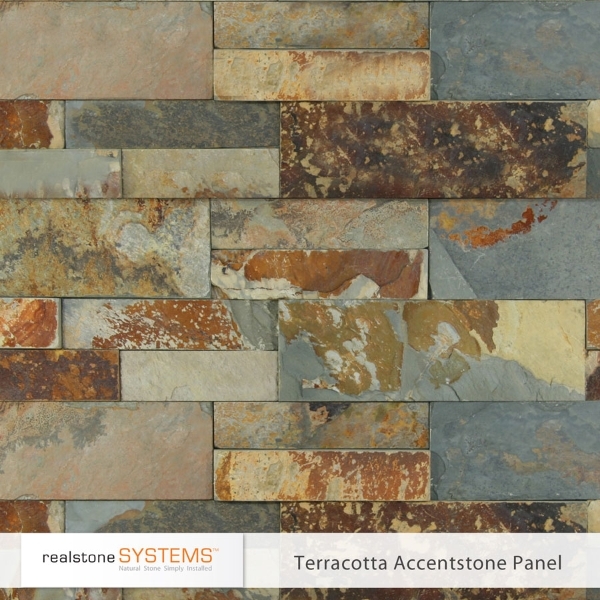 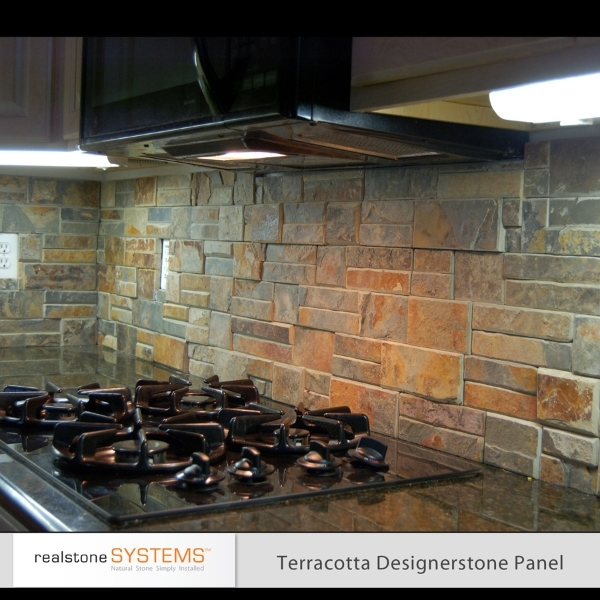 The smooth, low profile face of this panel cleans up easily, making it popular for kitchen backsplashes and accent surfaces, Like all Realstone products, Accentstone veneers are perfect for both interior and exterior projects.